This sturdy axe frog is made of two pieces of 7/8 oz. leather, through which the belt slides. 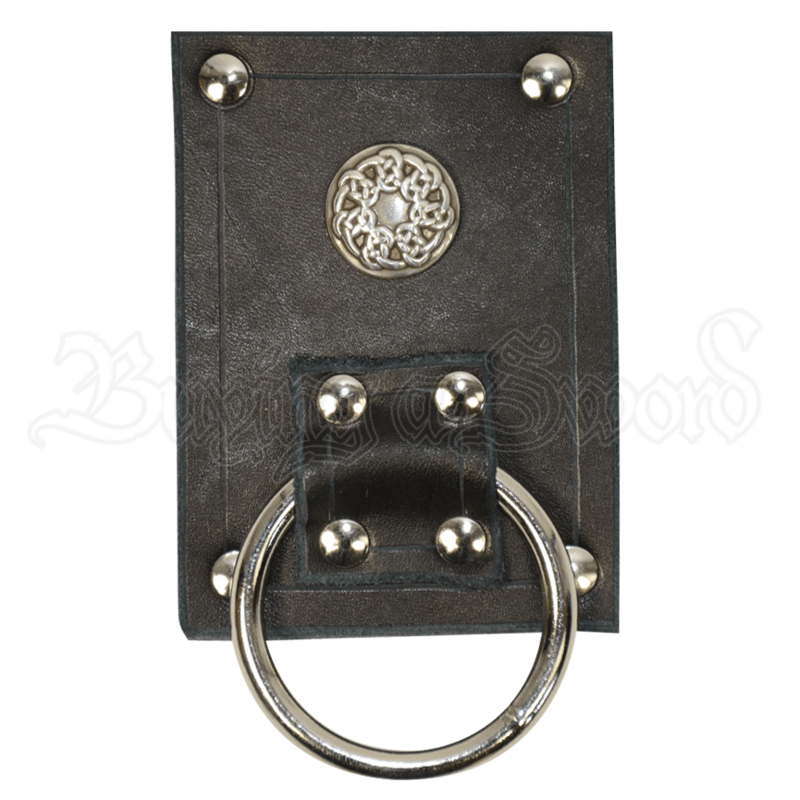 It is a must for anyone who wields axes, maces, or other hafted weapons, allowing them to keep their weapon of choice easily at their side. 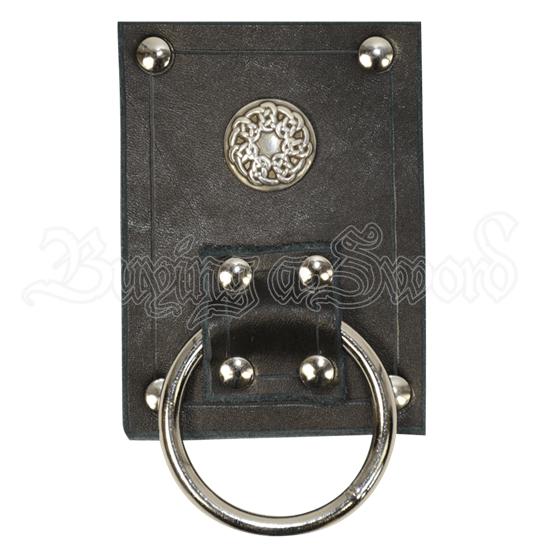 It is available in black or brown, with silver, steel hardware. It fits up to a 3 inch belt.